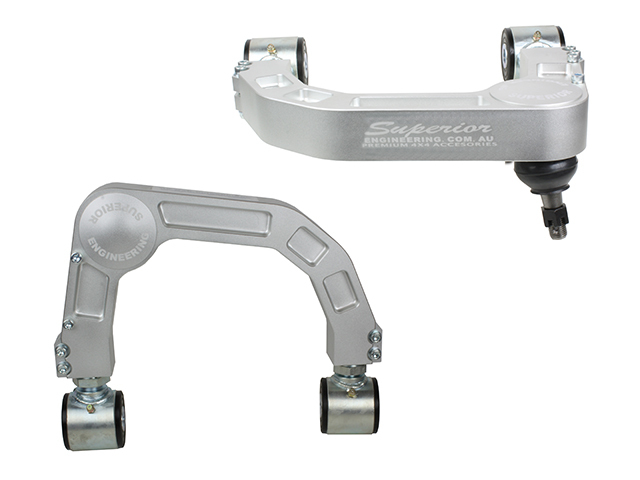 These Upper Control Arms (UCA's) from Superior Engineering are designed Suitable For Toyota Hilux. 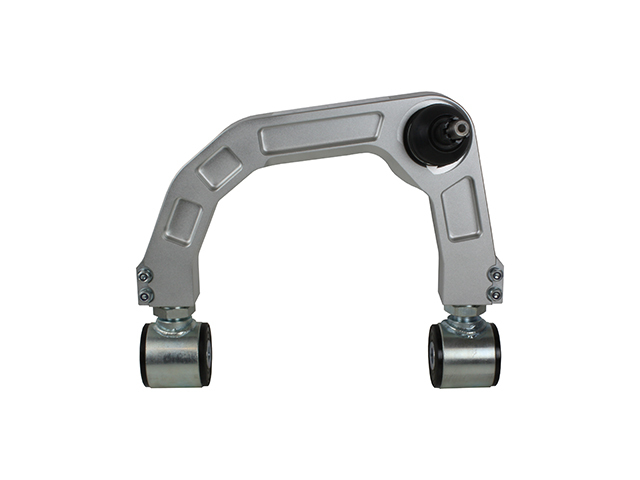 These upper control arms are designed to correct the ball joint angle when you lift your vehicle. 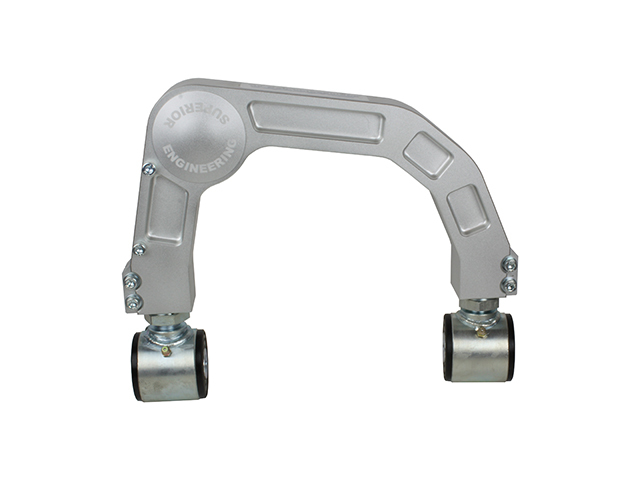 They are machined from a solid billet of Aircraft Grade 6000 Series Alloy. 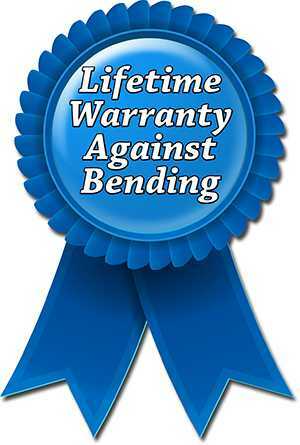 We have also allowed clearance for the coil to clear the arms during articulation. 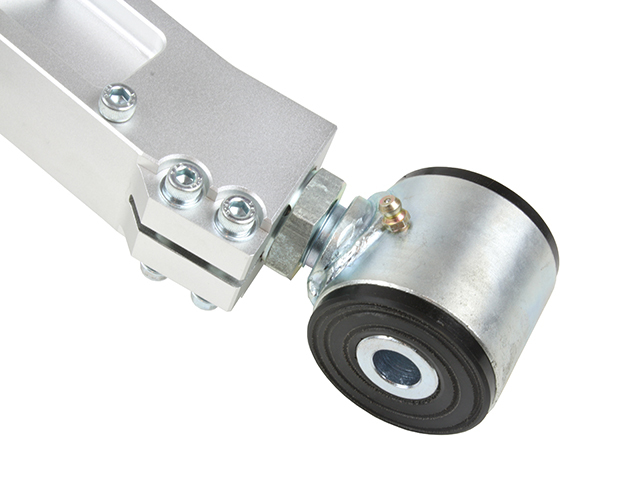 Double adjustable bushes allow for adjustments to be done on the vehicle without having to remove the UCA's from the vehicle. Finished in a hard wearing silver anodize coating. 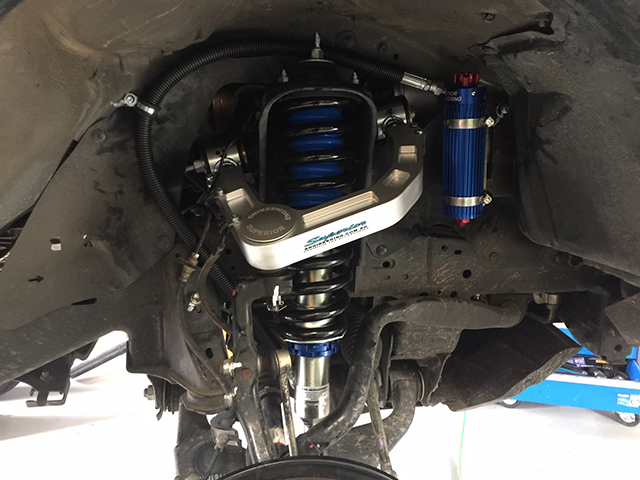 We use durable poly bushes at the chassis end, and we use the highest quality high angle ball joints at the wheel end allow for the maximum range of movement without binding. 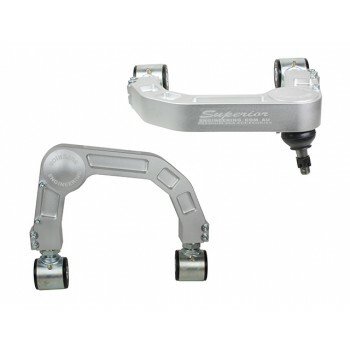 Ball joints are retained with a unique double locking system ensuring the ball joint will not come loose in the worst of conditions. Both the Bushes are on vehicle adjustable for a long service life. These arms are more than suitable for needs of the Australian market.